The Victorian Government has made significant changes to long service leave, making it fairer and more flexible for women, parents and carers. 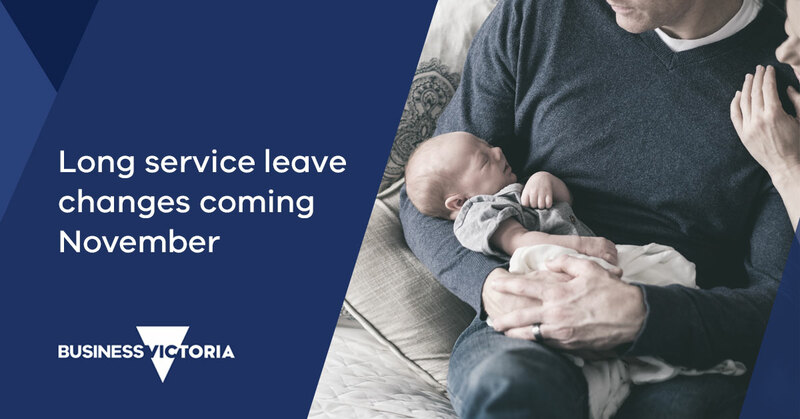 The new Long Service Leave Act has been passed by the Victorian Parliament, which now means that any period of paid parental leave and up to 12 months of unpaid parental leave will count as service. No amount of parental leave will break continuity of service. The laws will also allow workers to apply for leave after seven years’ service – as soon as long service leave entitlements begin accruing – rather than after 10 years. Previous long service leave laws treated parental leave less favourably than all other forms of leave. If an employee took more than 12 months unpaid parental leave they lost continuity of service and any accrued long service leave entitlements. This disproportionately affected women who often took caring responsibilities. It also penalised parents for spending more time at home when their children were born. The new laws will come into effect on 1 November this year. For more information, download the Victorian Government Long Service Leave Bill or Act below. Long Service Leave Bill Long Service Leave Act (2018).